Read 2 times. Last read June 23, 2016 to July 8, 2016. I was a bit hesitant to invest time in this book because of its self-help nature. However, it was one of the best books I have read in a while. Outstanding! This book looks at how some people become innovators while others are more traditional and cautious. 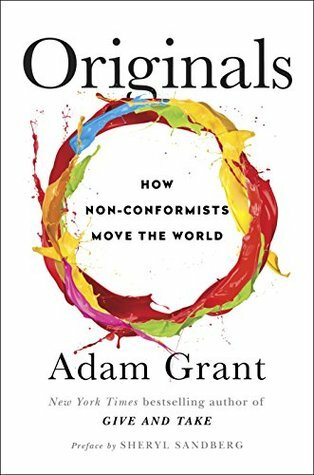 Of course it is much more complex than boiling it down to that, and Adam Grant presents some really great research to help the reader, and himself, begin to understand where innovators come from. Along with these fascinating studies, some of which are the author's own research, Grant provides the reader with extremely interesting, thought provoking, and entertaining histories of some of the worlds most original individuals. I might even read this book again at some point. Sign into Goodreads to see if any of your friends have read Originals.